Dr. Criddle's passions are emergency, trauma, neuro, transport, and critical care. She is board certified in emergency nursing (adult and pediatric), trauma nursing, orthopedic nursing, gerontological nursing, critical care (adult and pediatric), neuroscience nursing, stroke nursing, flight nursing, and nursing professional development. Laura holds advanced practice certifications as an adult acute care clinical nurse specialist and as a critical care clinical nurse specialist. Dr. Criddle has been a clinical nurse specialist since 1990, practicing as an emergency, trauma, flight, or neuroscience CNS at 5 health care organizations across the country. Throughout her career, Laura has cared for neonatal, pediatric, adult, and geriatric populations and has published over 100 journal articles, books, and book chapters covering a wide range of topics. She regularly speaks to health care audiences across the country. 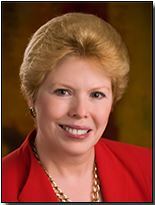 Dr. Criddle is a fellow of the Academy of Emergency Nursing, former chair of the Academy, case review editor for the Journal of Emergency Nursing, and a former editorial board member for the Journal of Trauma Nursing. Laura has held academic appointments at 4 universities and colleges and is the co-founder of TCAR Education Programs where she currently works as a clinical nurse specialist and serves as the company's chief clinical officer.